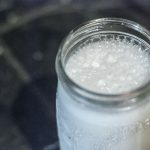 EASY, healthy Homemade Almond Milk with no unnecessary ingredients. This is the real stuff, and it tastes way better! My roommate knows things. She's not a paleo-kinda-girl, she's not even gluten free. But she is pretty amazing and knows how to do cool stuff like make homemade almond milk, or create a rooftop garden and grow herbs on the patio. She even makes her own kombucha (which we will hopefully have her share with us). Not only that but she owns nut bags! Until recently I'd never even heard of nut bags (at least not in this context… lol). 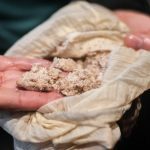 I was introduced to nut milk bags by Ian from Gaia Guy. Gaia Guy is a company that makes “eco-friendly products” with “ecological principles”. Basically, they've got the health of our planet in mind when producing their stuff. 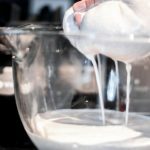 Ian sent us a couple nut milk bags to try (which can also be used for squeezing the liquid out of cauliflower when making cauliflower rice, for THE BEST Paleo Pizza Crust – I wish I'd learned about this sooner! ), bamboo toothbrushes (which are beautiful, but I didn't use because I need ultra-soft bristles for my sensitive teeth), and reusable glass straws (which you can bet you'll see in photos here in the future!). They make a number of other high-quality products that you can find here. 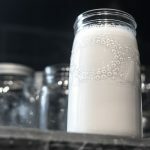 So this homemade almond milk recipe – it doesn't have any of the extra ingredients that store-bought almond milk has (have you looked at the ingredient lists?!). Without any flavorings, this is just almonds and water! 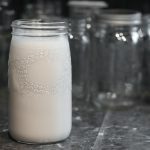 In my humble opinion, the homemade almond milk tastes way better than the ones in the cartons. I know: shocking, right? 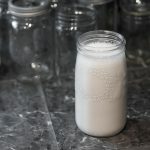 I'm a little embarrassed that I haven't looked into making my own homemade almond milk before now. Roommates, amiright? Who knows what you can learn from them! What have you learned from roommates? 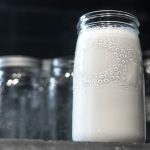 You may as well learn how to make homemade almond milk now because you can bet that every time we make something with almond milk in the future we'll be sending you right back here! Your own flavorings including (but not limited to) cardamom, nutmeg, turmeric, cacao, etc. 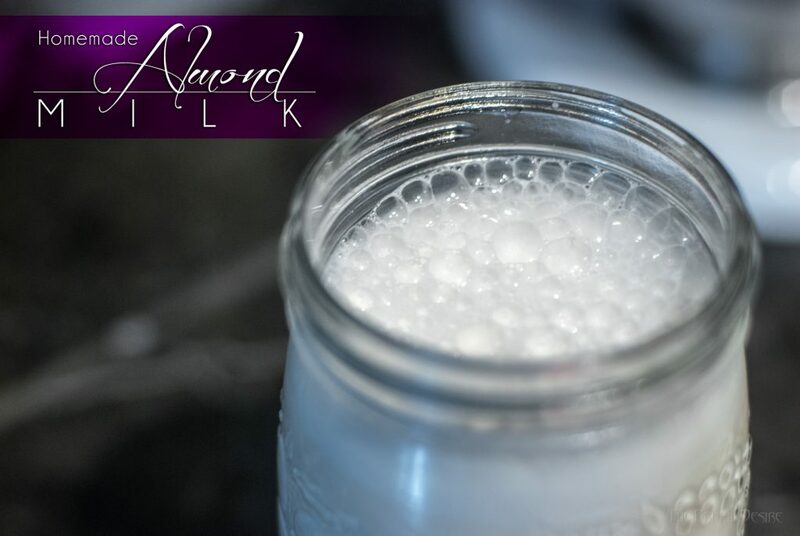 Soak almonds in water overnight (enough water to cover them plus a few inches). Dump out water and rinse almonds with fresh water (if you use the same water it will give it a funny texture). Put almonds, 4 cups of water and optional flavoring ingredients in a blender (we love our Vitamix for this). “Blend the crap out of those”. Everything will be pulverized and the water will look milky white. Hook the string of a nut bag, such as Gaia Guy's (either the hemp or the cotton bag will work fine), over a cabinet knob, something similar, or have someone hold the bag for you, with the bag sitting inside a large bowl. Pour the mixture into the bag, allowing the liquid to filter into the bowl. Tighten the string of the bag, wrap the string and top portion of the bag around your hand, and squeeze the milk out. Shake well before serving (the milk will separate when left on its own). 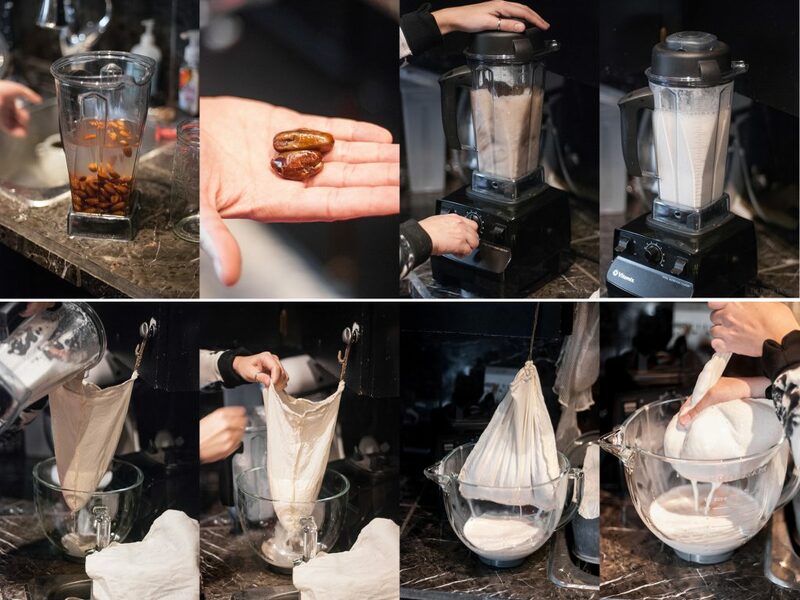 • Only use the nutbag that you use for making almond milk. If you use it for other things, future batches of almond milk will take on those other flavors. • Almond milk will last for a couple days in the fridge. • FYI: The more you squeeze, the more foam will be produced. • Flavoring – Kimber likes to use vanilla, dates, and cinnamon because she uses it for her smoothies/shakes. • The solids left in the bag: these can be dehydrated and used in baking, granola, etc.